Question: Is the moon planet described in śāstra the same planet that our scientists identify as the moon? Are humans even able to access the abode of Candradeva? Answer: The description in śāstra does not match the moon identified by modern scientists. The moon in śāstra is described as a watery planet while modern science describes it as rocky. The śāstric descriptions are a mixture of different aspects of the moon: ādhyātmika (spiritual), ādhidaivika (divine), and ādhibautika (material). The last one is the subject of scientific study and can be accessed by scientists. Therefore humans can access some aspects of the moon described in śāstra. Question: What is Kṛṣṇa’s mood? Does He have the mood of enjoyer or does He maintain the mood of giving pleasure to the gopīs? I am thinking that Kṛṣṇa is the enjoyer “bhoktaram” by nature, but am not sure if that understanding is correct. Answer: There is no difference between these two moods in the spiritual realm. Here in the material world, our mood is to enjoy and we think giving pleasure is not enjoyment. Therefore this question arises. In the spiritual world, there is no duality. Thus, His mood is the same as that of the gopīs – giving pleasure. Enjoyment comes by service. He is the devotee of His devotee–bhagavān bhakta-bhaktiman. Kṛṣṇa is bhoktaram, but not as we think. He is the bhoktaram by making His devotee bhoktaram. Question: A friend of mine had a question about this verse/BBT purport in Bhāgavata Purāṇa 4.25.51. Could you please help me understand? It seems Śrīdhara Svāmī says in his Bhasya that karma-kaṇḍa is traditionally heard using the right ear (results in heaven) and jñāna kaṇḍa is heard using left ear (results in mokṣa). It looks like the mantras received through the right ear are meant for heavenly planets and those from left ear are meant for mokṣa/Vaikuṇṭha. If this is true, why are dikṣā mantras given in the right ear in Vaiṣṇava lineages? Answer: Yes, Śrīdhara Svāmī says that karma-kaṇḍa is to be heard through the right ear and jñāna-kaṇḍa through the left ear. However, he is not talking about mantras but about śāstra. So his commentary refers to the study of śāstra related to karma-kaṇḍa and jñāna-kaṇḍa. Mantras related to any kaṇḍa are received through the right ear. This whole story from the 25th Chapter is allegorical and not to be taken literally. This verse signifies that karma-kaṇḍa is heard first and then jñāna-kaṇḍa. Therefore, they are also called purva (“earlier”)-mimaṁsa and uttara (“later”)-mimaṁsa, respectively. 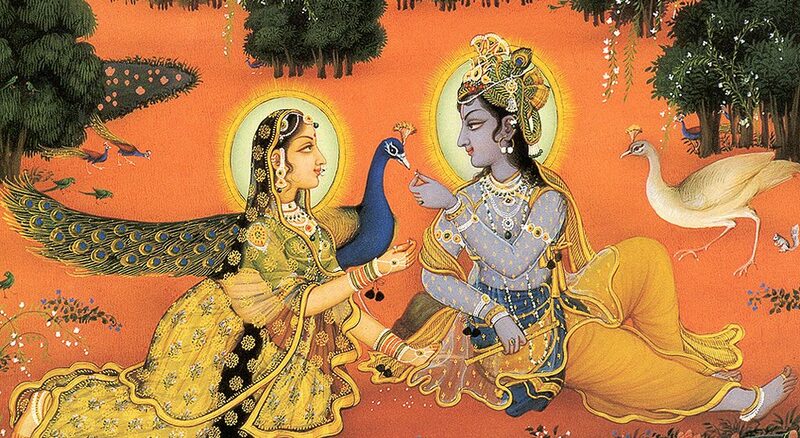 Traditionally one first studies purva-mimaṁsa and then one studies uttara-mimaṁsa, or Vedānta. That is how the word atha in athāto brahma jijñāsa (Vedānta Sūtra 1.1.1) is explained by most commentators. 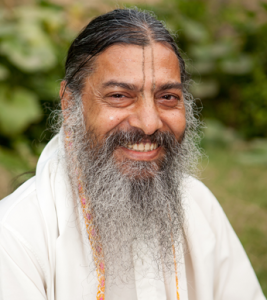 Question: Does Advaita Prabhu have a beard or not? There are different opinions and descriptions. Answer: If this is considered to be Nara-līlā, then what is the problem with getting old? They are also getting hungry, tired, pass stool, etc. So they can also get old. This is the meaning of Nara- līlā. They do not get old like us; their getting old is also divya (janma karma ca me divyam). But even when they get old, they are not coming under the influence of the guṇas. Their getting old is not because of the influence of time, but it is part of the līlā. Gadādhara Paṇdit also became old like us, and his back was bent. It’s very difficult to follow this. We are humans. And when we aspire or are inspired from a guru. We do want to follow on his footsteps. How can abominable activities committed by a devotee be ignored?? Being in Kali-yuga it is likely we follow what guru does which may not be appropriate to us at all. If this verse is not properly understood people whether gurus or sadhakas. Will feel it’s their right to do anything abominable and at the same time pose themselves as devotees which will cause chaos. Please read the verse carefully. If you do not study the verse and understand its meaning, then you can be misled by others. First of all, this verse is not describing the behavior of a guru. The word used in the verse is sādhu and not guru. So do not try to apply the verse to a guru who is engaged in abominable activities. The word sādhu means a good person or one who is engaged in sādhana. The second point that has to be considered, and which is most important, is if this person is actually engaged in unalloyed devotional service to Kṛṣṇa – bhajate mām ananda-bhāk, it does not mean that he is making a show of bhakti, putting on the external signs of a devotee. He must be firmly situated in bhakti – samyag-vyavasitaḥ. His heart must be in bhakti. This is the part which people do not pay attention to. The examples that you may have in mind are probably missing this qualification. The third important point to be considered is that this verse is not to be cited by the person who is engaged in sudurācāra to prove himself a sādhu to others. This verse is for others, so that they do not criticize him. Mantavyaḥ – should be considered – is an instruction for others. The person who is actually engaged in suduracara should be humble enough and truthful enough not to proclaim himself as a sādhu. Otherwise, he is misleading himself as well as others. The fourth point to be considered are the words api cet. It signifies that such a behavior usually does not happen. Krsna is explaining the power of His bhakti. He is stressing how bhakti can purify a person, even if he has some bad habits. Hence He speaks the next verse – one quickly becomes dharmātmā. 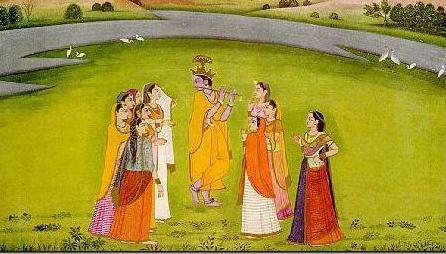 If someone continues in durācāra, it shows that he is not engaged in bhakti. 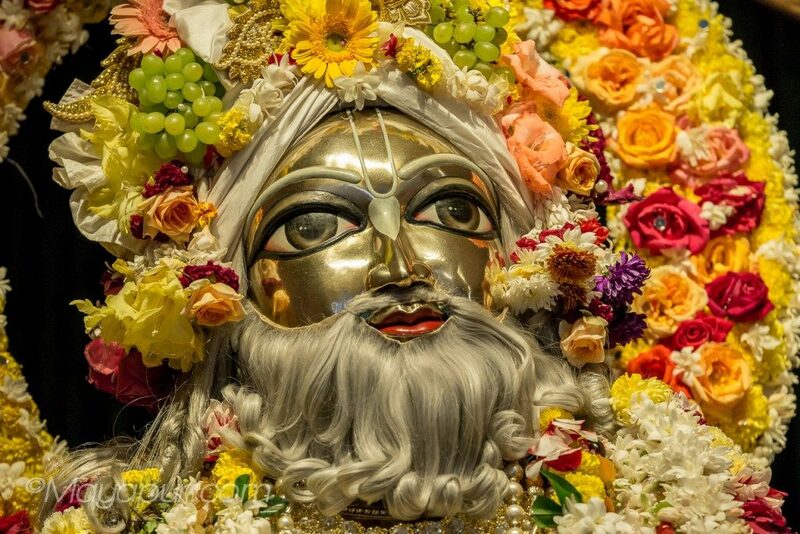 exist a nitya aprakata lila of mahaprabhu or it only manifest as nitya prakata lila?